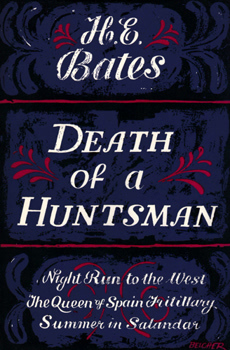 BATES, H.E. (Herbert Ernest), 1905-1974 : THE STORY WITHOUT AN END AND THE COUNTRY DOCTOR. London : White Owl Press, 1932. 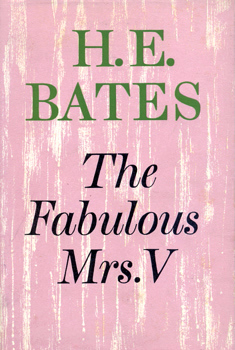 First edition : one of 100 copies (of 130) numbered and signed by H. E. Bates. Two short stories, the first set in a London restaurant. Demy 8vo (23cm). [vi],(52),[vi]pp. Striking art deco frontispiece. Original ochre bevelled buckram, lettered in gilt; top edge gilt; merest hint of tanning to endleaves; light offsetting of frontispiece to title-page, but a very good copy indeed – bright and sound. BATES, H.E. 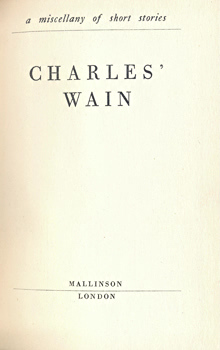 (Herbert Ernest), 1905-1974 & OTHERS : CHARLES’ WAIN : A MISCELLANY OF SHORT STORIES. London : Mallinson Publishing Co., (1933). First edition : the trade issue. Eighteen short stories, seemingly dedicated to the publisher Charles Lahr (1885-1971) – fourteen previously unpublished and the remainder previously unpublished in book form. Contributors include H. E. Bates (A Little War), John Brophy, Rhys Davies, Rupert Croft-Cooke, John Hampson, Eimar O’Duffy, Sean O’Faolain, Liam O’Flaherty, T. F. Powys, etc. Demy 8vo (23cm). (viii),(238),[ii]pp. Original pale yellow cloth, lettered across spine in gilt; a touch rubbed; very slightly dulled; a few faint marks; outer leaves a little tanned, but a very good and sound copy. BATES, H.E. 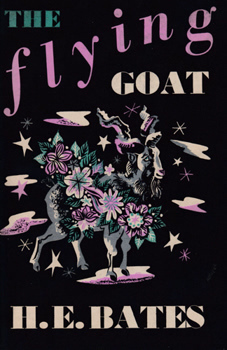 (Herbert Ernest), 1905-1974 : THE FLYING GOAT. London : Jonathan Cape, (1939). First edition. A collection of sixteen short stories, including “I Am Not Myself”, “Shot Actress – Full Story”, “Elephant’s Nest in a Rhubarb Tree”, etc. Crown 8vo (20cm). (316),[iv]pp – but without the inserted publisher’s advertisements reported by Eads. Original green cloth, blocked and lettered in blue; mild tanning of endpapers; edges spotted, but otherwise a very good copy indeed in the Hans Aufseeser dust-jacket – a pictorial design in black, lilac, jade, peach and white – also very good indeed. Eads A34. BATES, H.E. 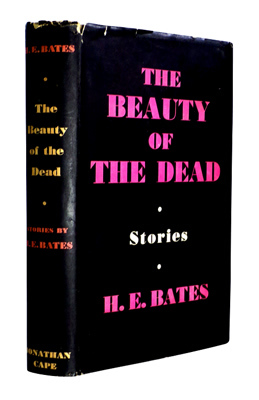 (Herbert Ernest), 1905-1974 : THE BEAUTY OF THE DEAD AND OTHER STORIES. London : Jonathan Cape, (1940). First edition. 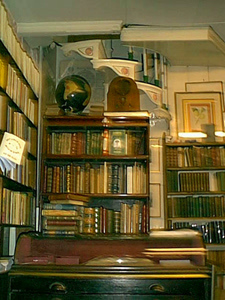 An uncommon collection of fifteen short stories, including “The Bridge”, “A Scandalous Woman”, “Love is not Love”, etc. – “There is no living English writer of whose future work I feel more confident” (David Garnett). Post 8vo (20cm). (256)pp. Original grey-green cloth, blocked and lettered in red; a touch tanned; some spotting of edges, but a very good copy in the dust-jacket – a typographic design in black, white and pink – lightly tanned, with some minor wear, a couple of short nicks, and a tiny chip, but still very good. BATES, H.E. (Herbert Ernest), 1905-1974 : DEATH OF A HUNTSMAN : FOUR SHORT NOVELS. London : Michael Joseph, (1957). First edition. The title story, plus “Night Run to the West”, “Summer in Salandar”, and “The Queen of Spain Fritillary”. Post 8vo (21cm). 222,[ii]pp. Original blue cloth, blocked and lettered in gilt; mild tanning of endpapers, but otherwise a very good, bright and sound copy in the William Belcher dust-jacket – also very good indeed, bar a couple of tiny marks on the lower panel. Eads A83a. BATES, H.E. 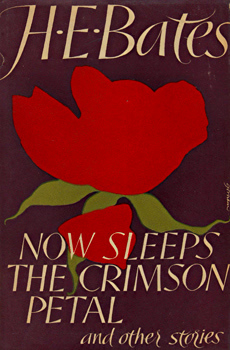 (Herbert Ernest), 1905-1974 : NOW SLEEPS THE CRIMSON PETAL AND OTHER STORIES. London : Michael Joseph, (1961). First edition. A dozen short stories, including “Lost Ball”, “The Place Where Shady Lay”, “Daughters of the Village”, etc. Later published in the USA as “The Enchantress and Other Stories”. Post 8vo (21cm). (206),[ii]pp. Original red cloth, blocked and lettered in gilt; a very good copy in the Charles Gorham dust-jacket, very slightly tanned and just a little nicked. Eads A91a. BATES, H.E. (Herbert Ernest), 1905-1974 : THE FABULOUS MRS V.
London : Michael Joseph, (1964). First edition. A collection of twelve short stories. Not published in the USA. Post 8vo (21cm). 192pp. Original pale mauve-grey boards, blocked and lettered across spine in gilt; a very good copy in the Kenneth Farnhill dust-jacket, also very good barring a few faint marks and a couple of tiny nicks. Eads A99. 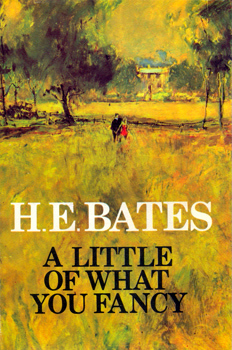 BATES, H.E. (Herbert Ernest), 1905-1974 : A LITTLE OF WHAT YOU FANCY. London : Michael Joseph, (1970). First edition. The fifth and last of the Larkin novels. Not published in the USA. Post 8vo (21cm). (216)pp. Original light green boards, blocked and lettered in gilt across spine; a few faint signs of age and use, but very good copy in the Oliver Elms dust-jacket, just faintly rubbed at extremities. Eads A108.